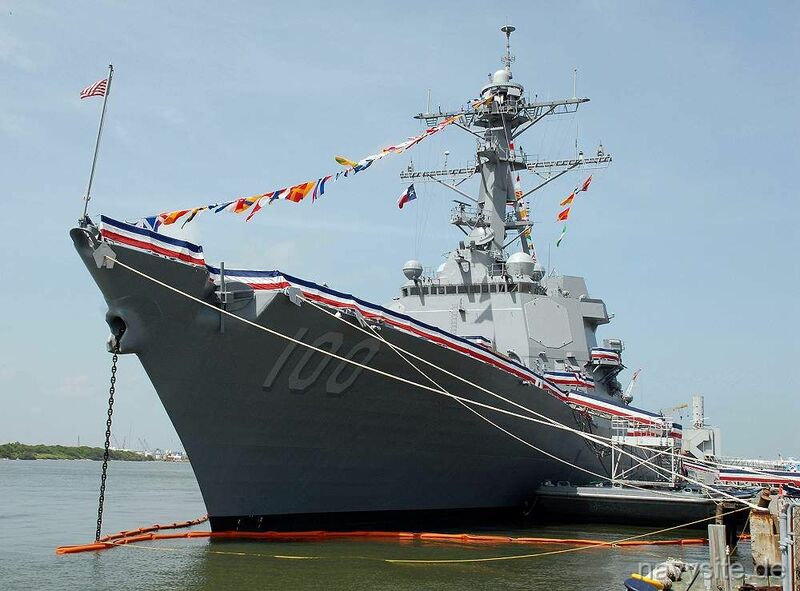 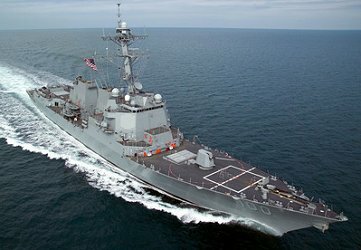 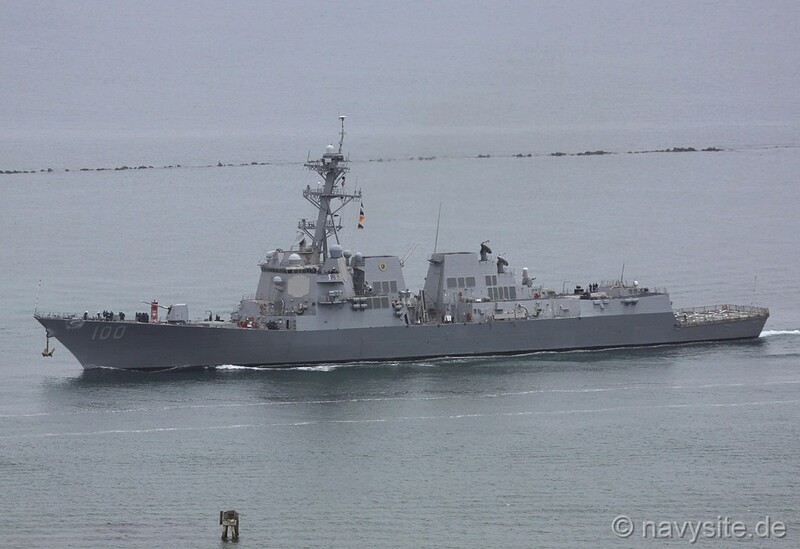 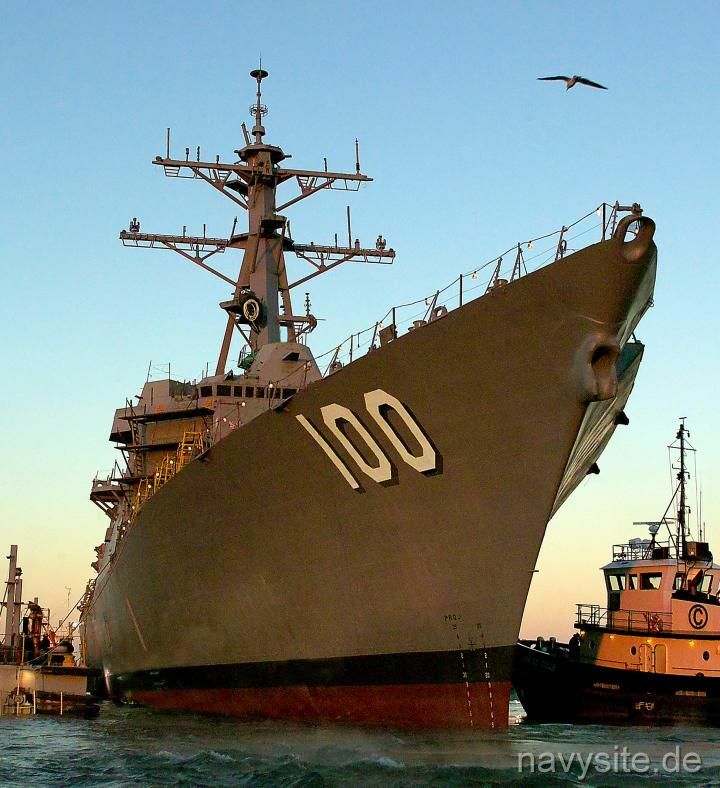 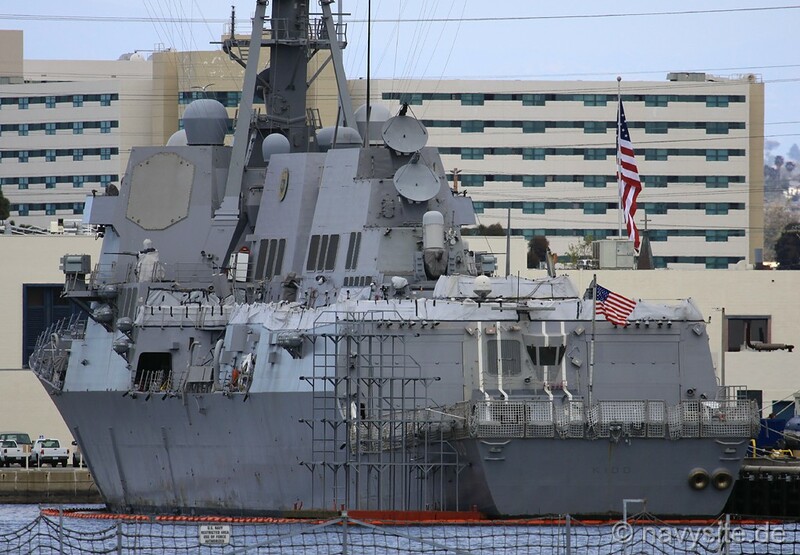 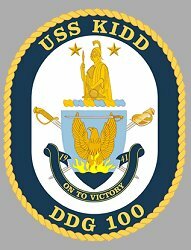 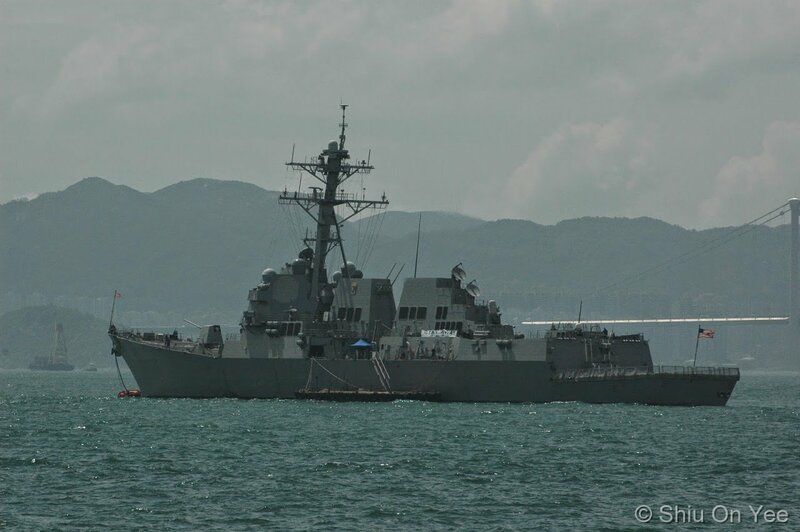 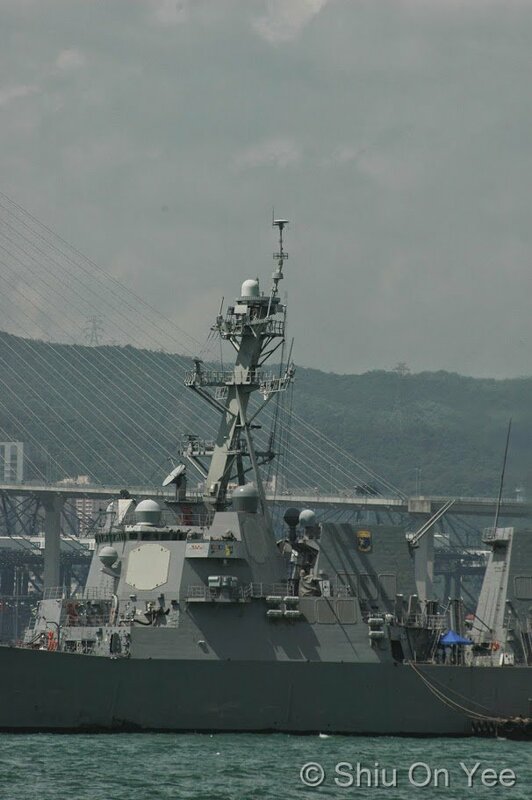 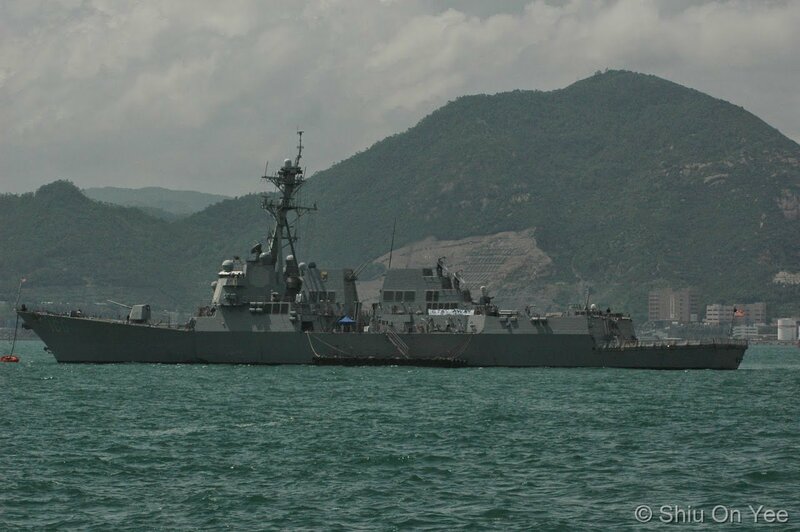 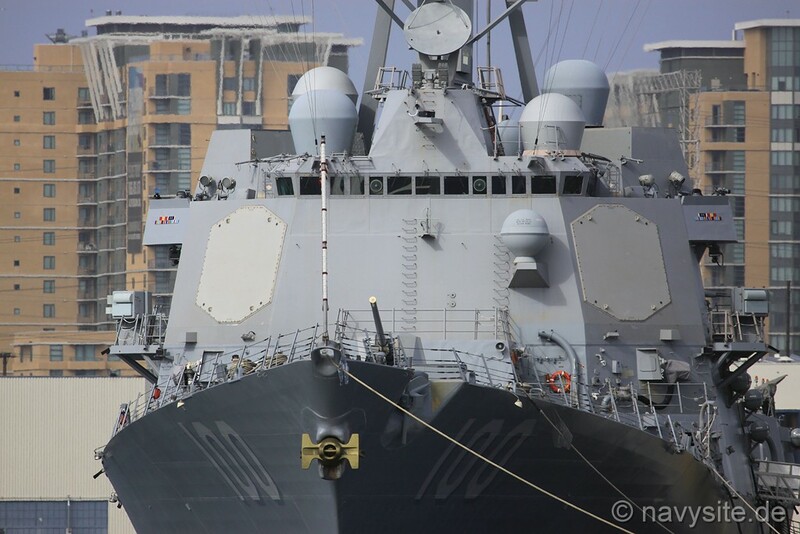 USS KIDD is the 50th ship in the ARLEIGH BURKE - class of Aegis guided missile destroyers and the third ship in the Navy named after Rear Admiral Isaac C. Kidd. 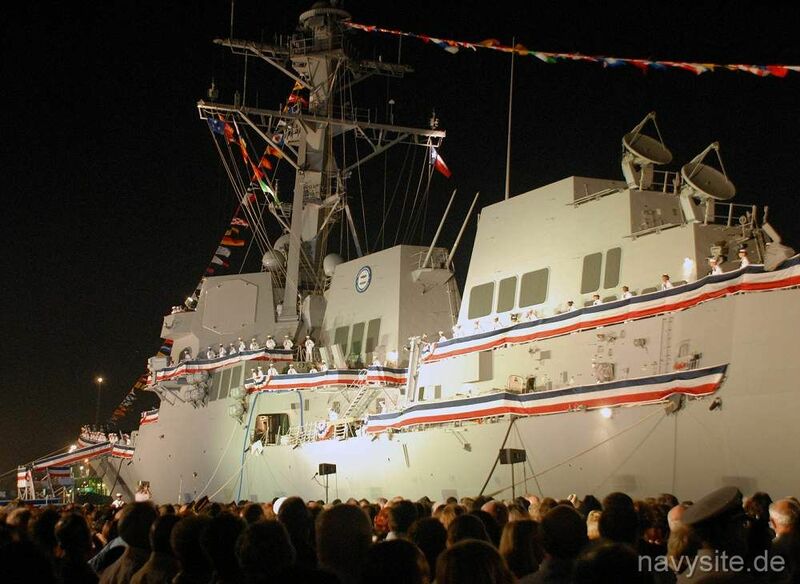 August 29, 2005 Pascagoula, Miss. 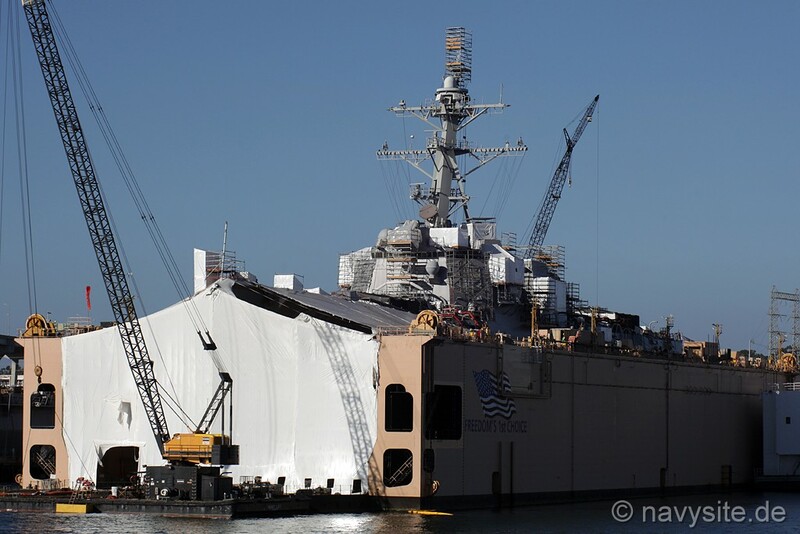 The KIDD, at that time under construction in Pascagoula, Miss., is damaged during Hurricane Katrina. 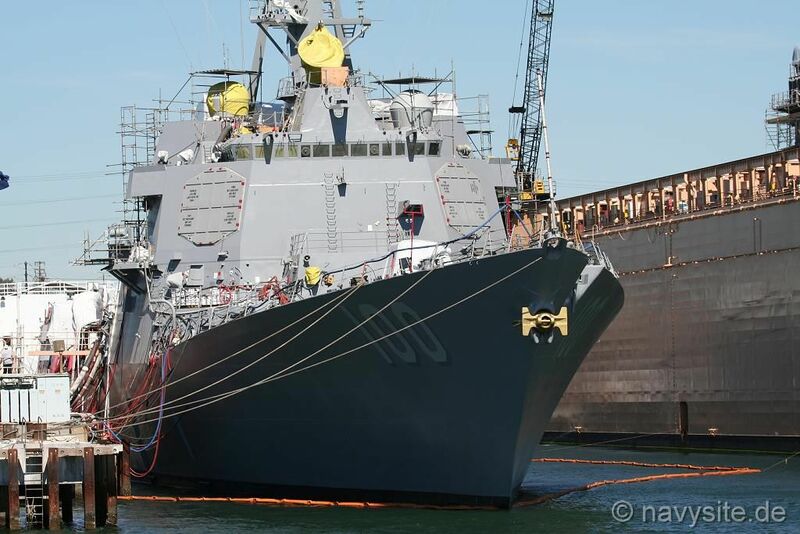 The ship is holed and partially flooded forcing KIDD to return to dry dock for repairs and delaying her commissioning by more than 6 months. 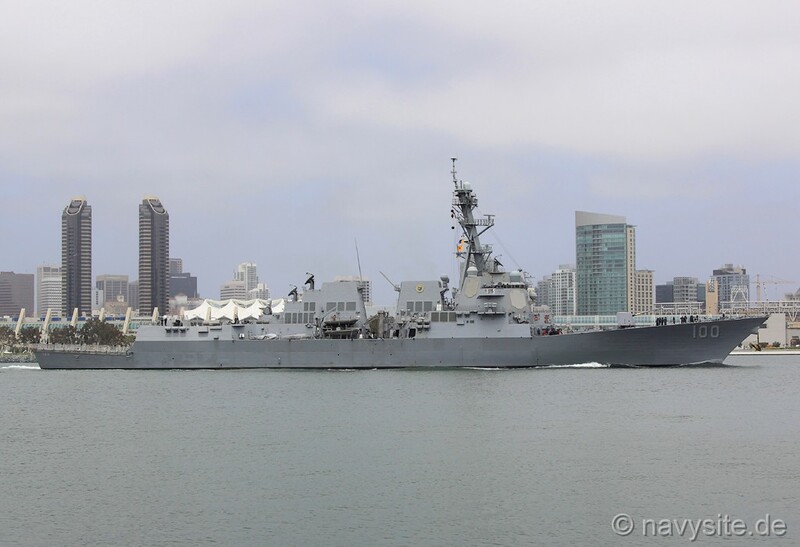 The photos below were taken by me and show the KIDD at San Diego, Calif., on March 10, 2008. 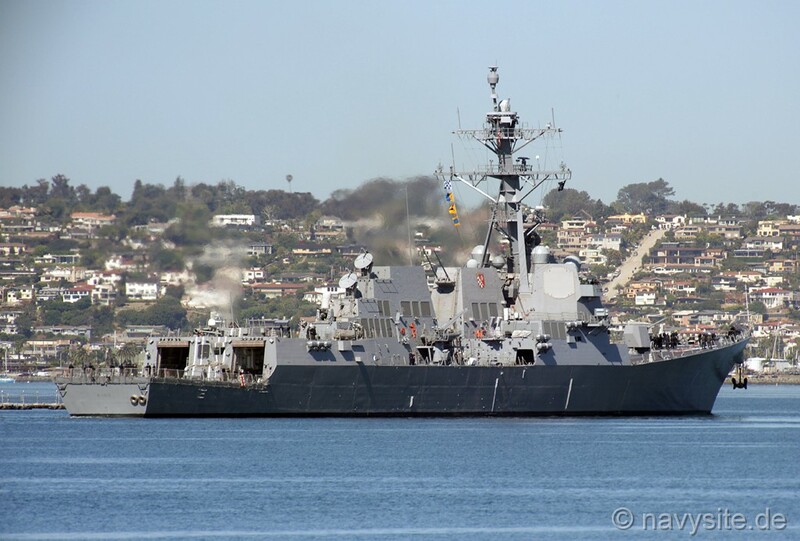 The photos below were taken by me and show the KIDD at Naval Base San Diego, Calif., on March 23, 2010, (the first photo) and departing San Diego early in the morning on March 25, 2010. 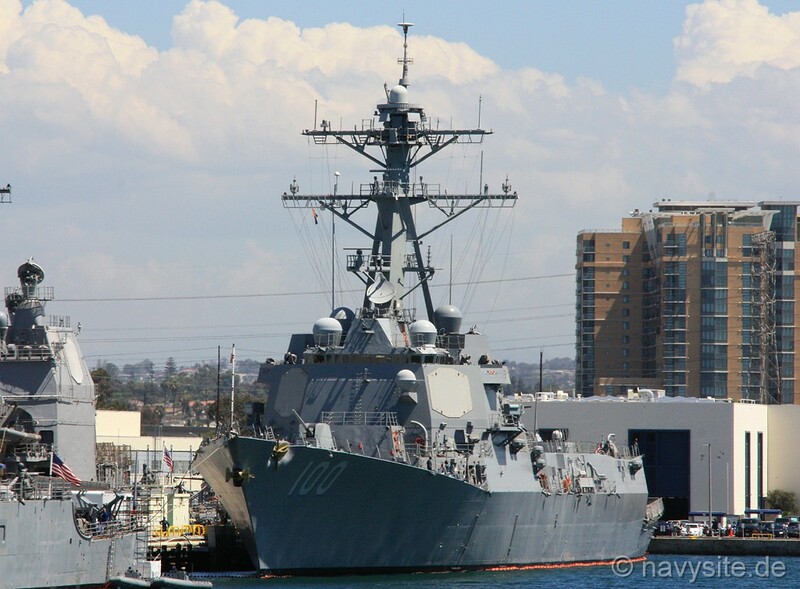 The photos below were taken by me and show the KIDD at Naval Base San Diego, Calif., on March 15, 2012. 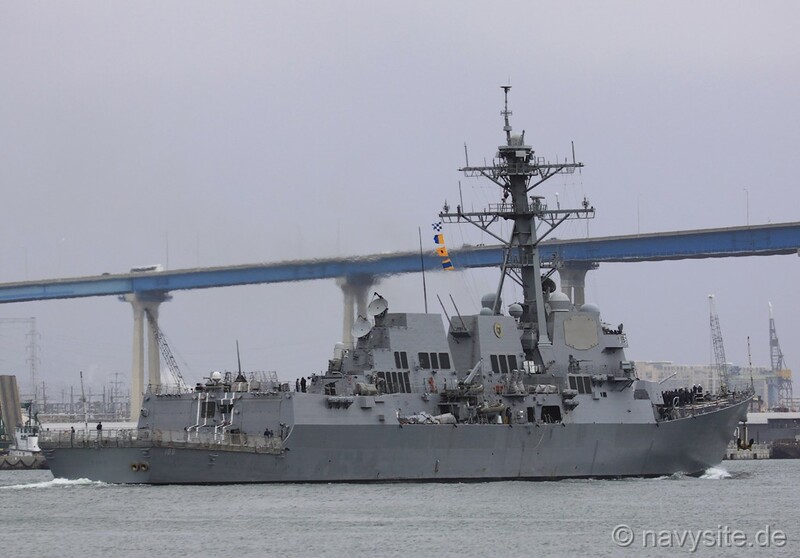 The photos below were taken by me and show the KIDD returning to Naval Base San Diego, Calif., after a few hours at sea off Coronado, Calif. 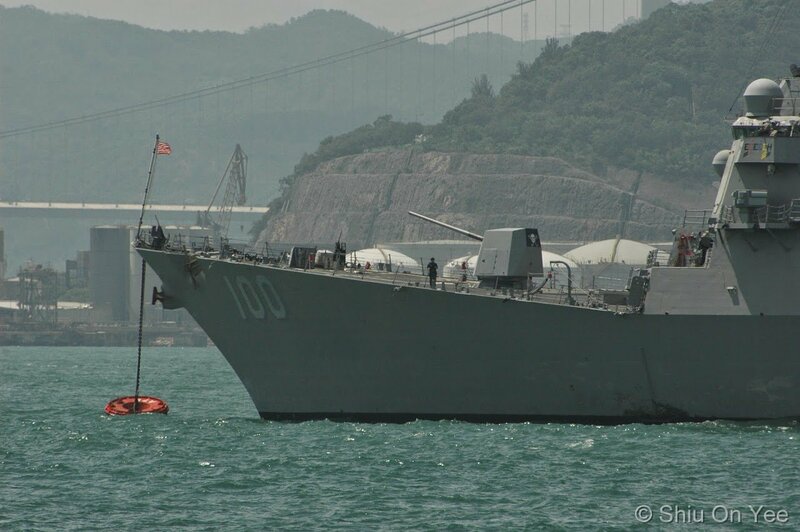 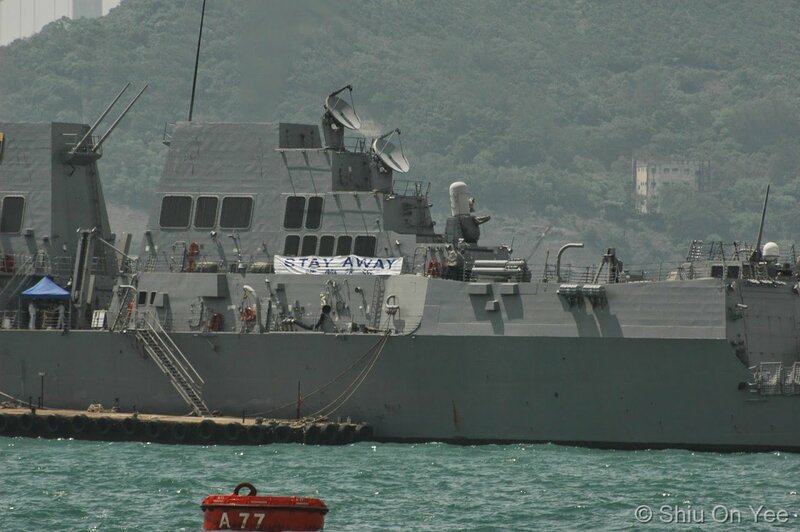 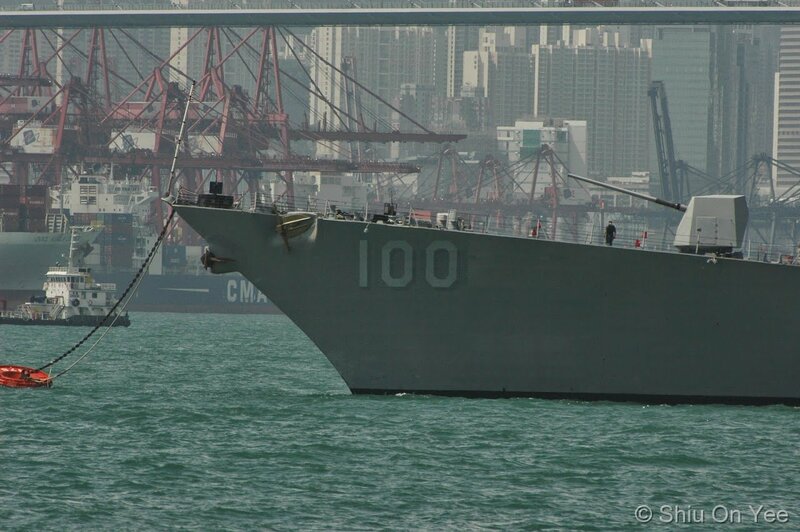 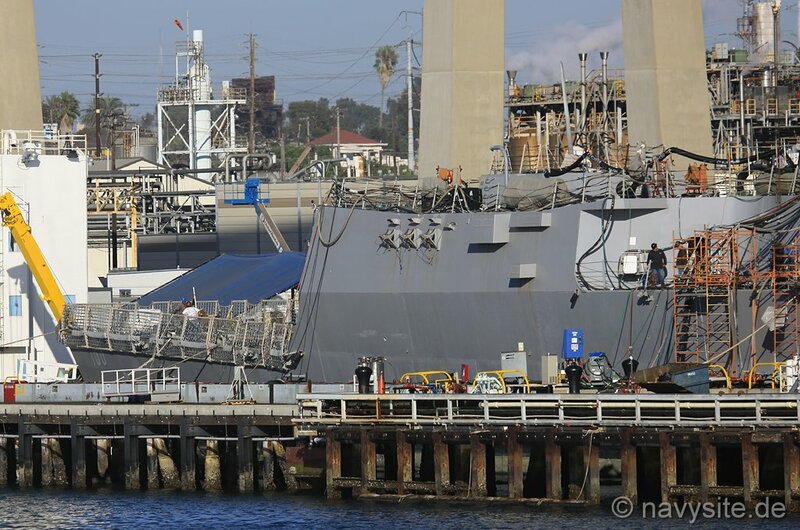 The last photos show her berthed at the Naval Base shortly afterwards. 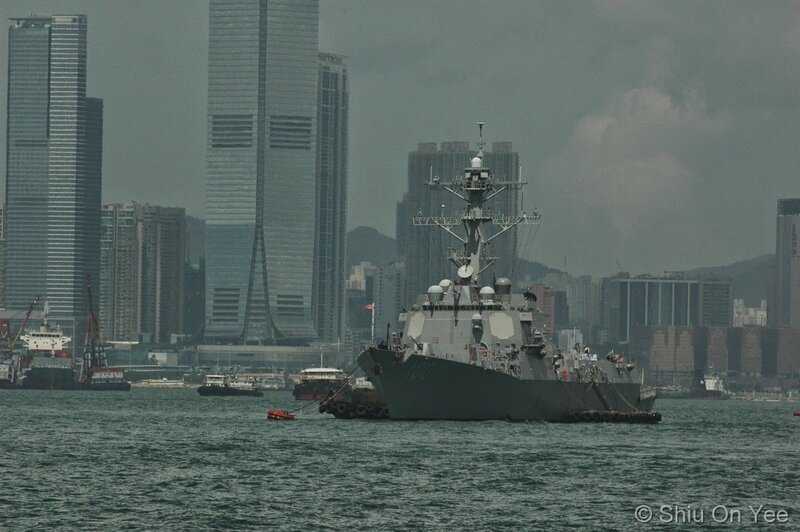 All photos were taken on May 10, 2012. 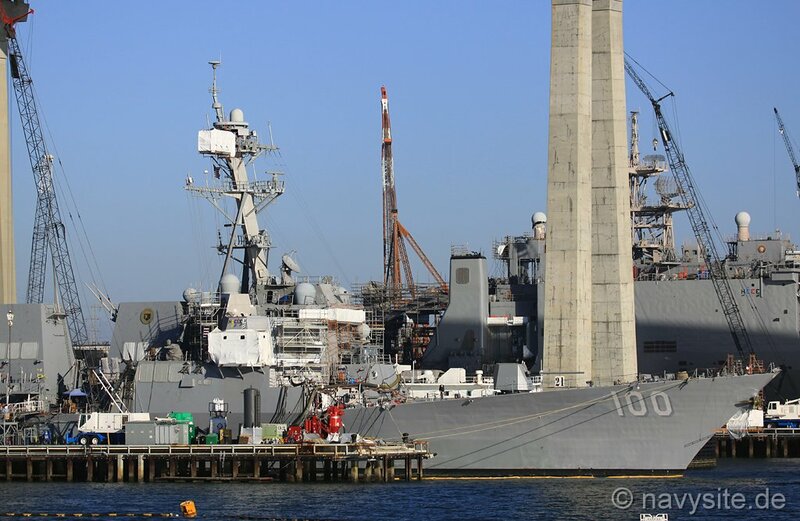 The photos below were taken by me and show the KIDD at the Huntington Ingalls Industries Continental Maritime Shipyard in San Diego, Calif., on October 3, 2012. 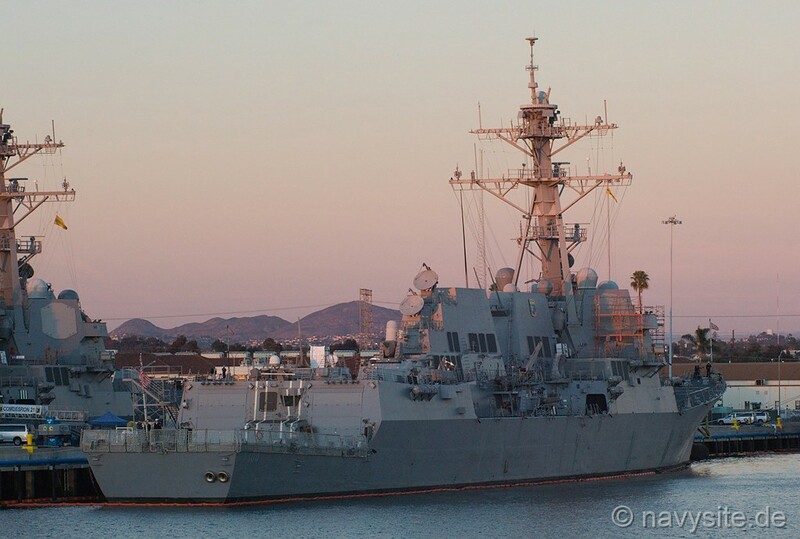 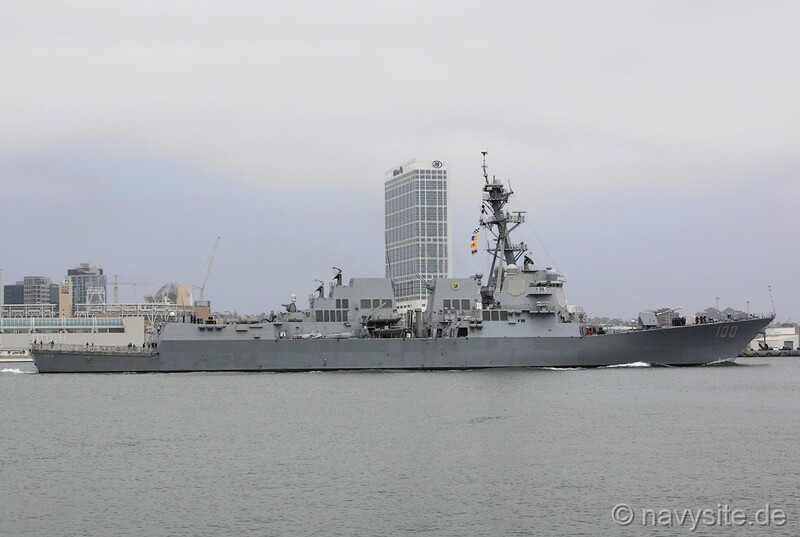 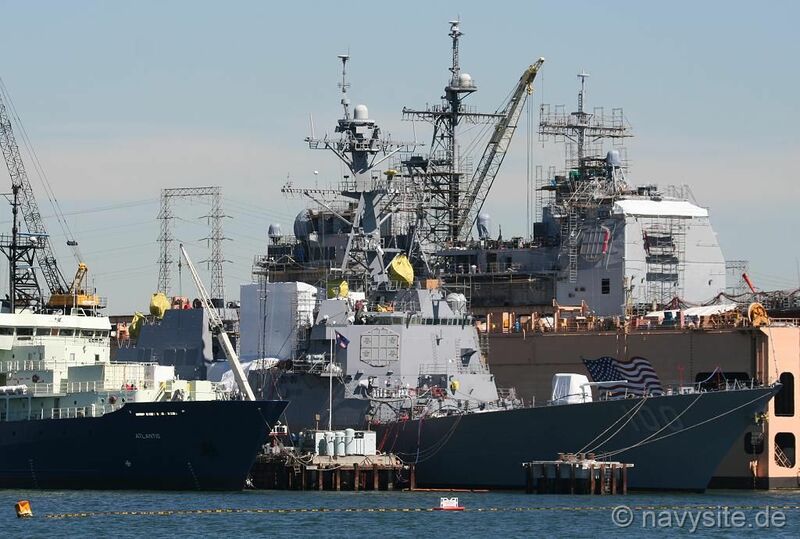 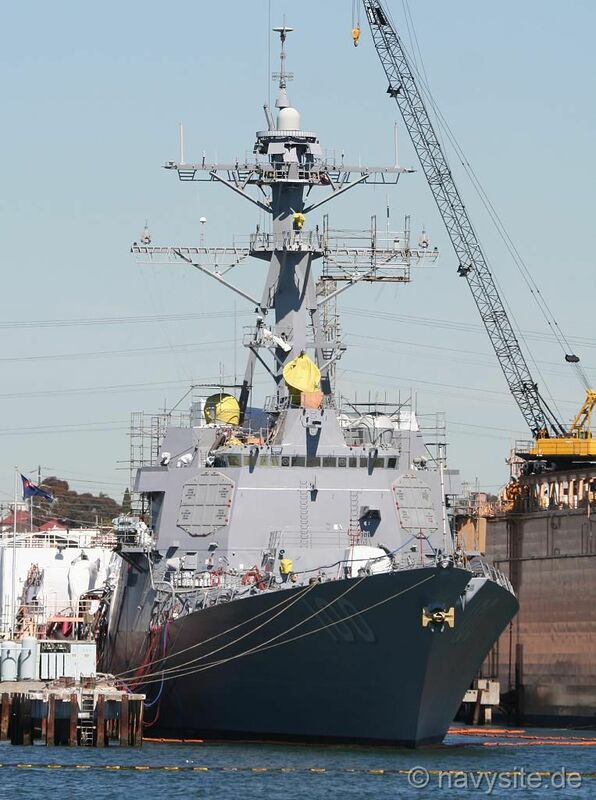 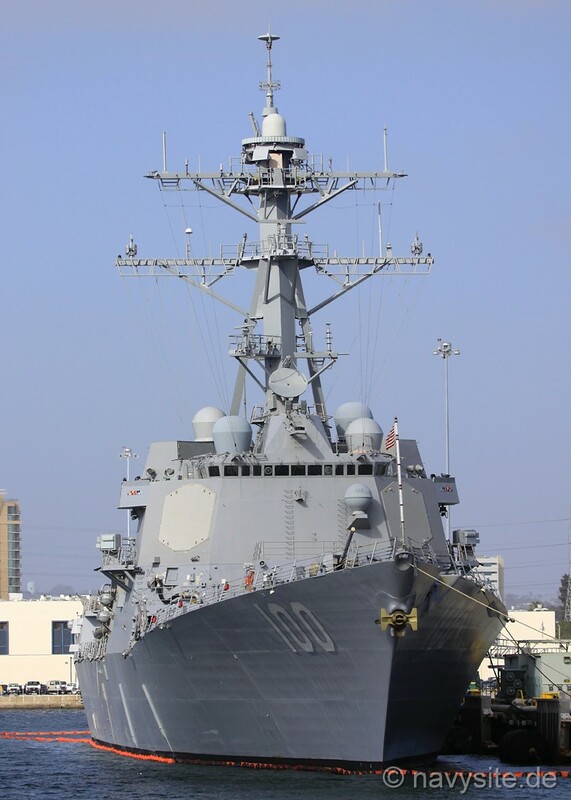 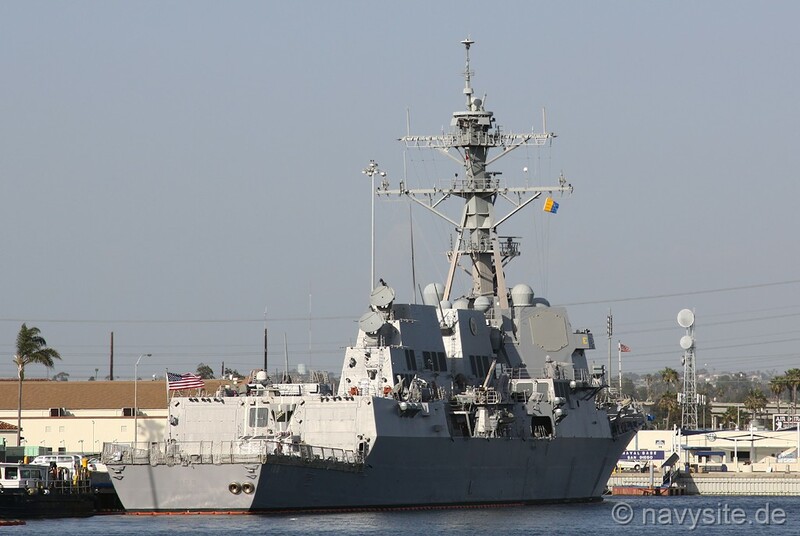 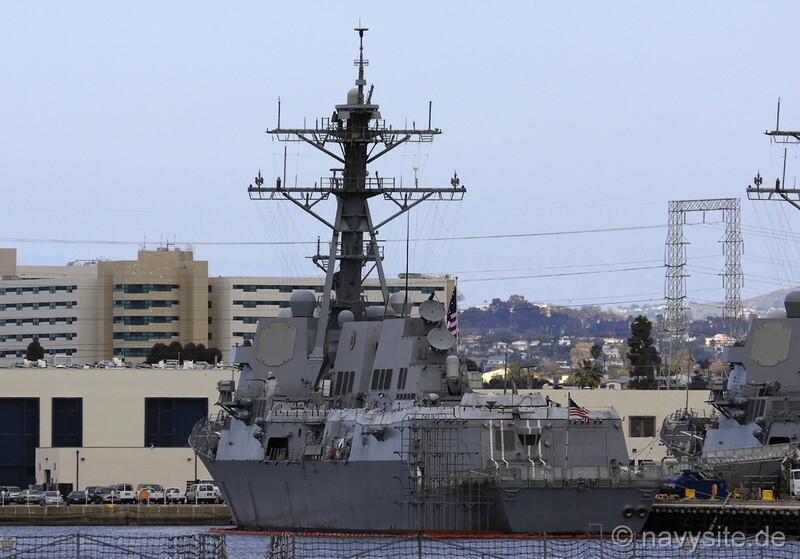 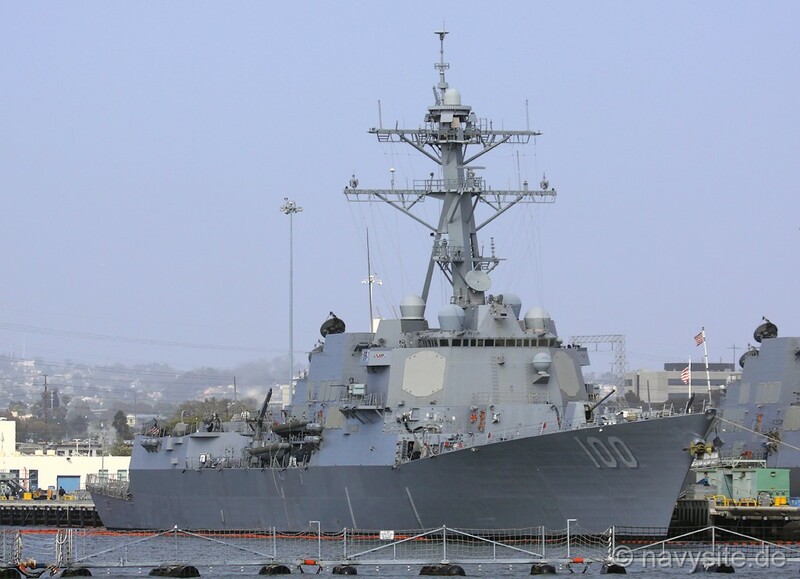 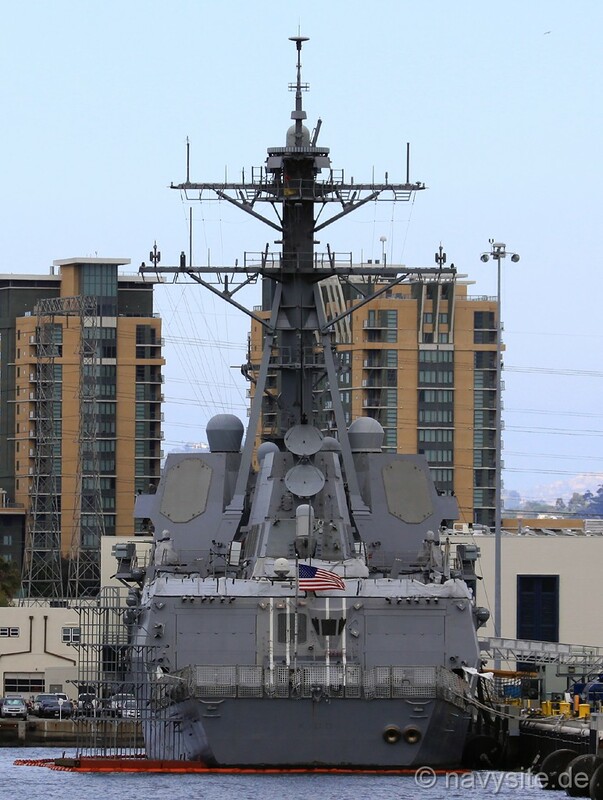 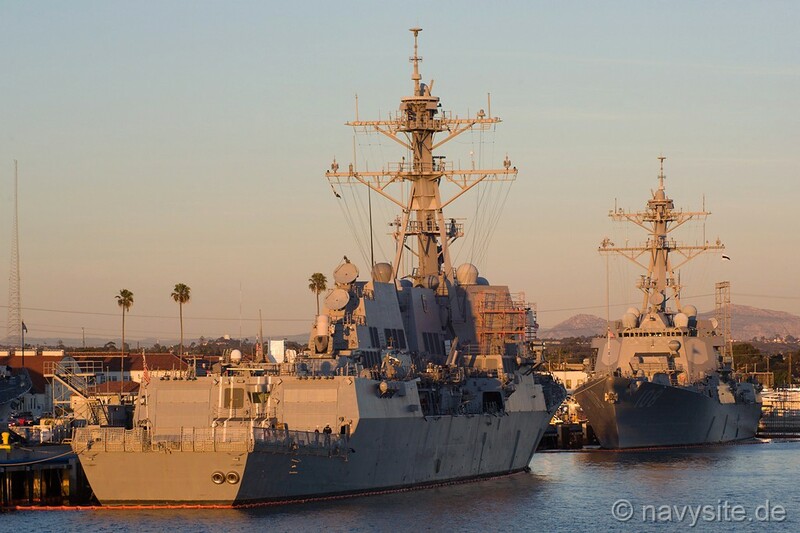 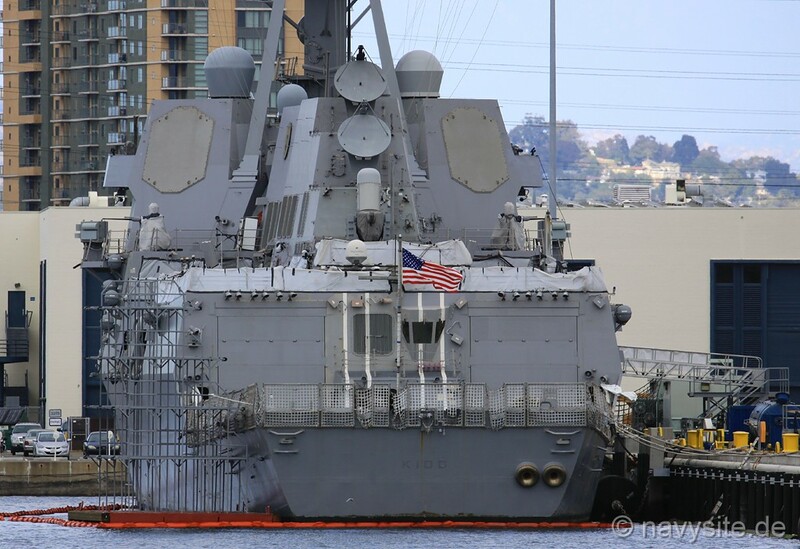 The photo below was taken by Henry Schnutz and shows the KIDD at Naval Base San Diego, Calif., on August 27, 2013. 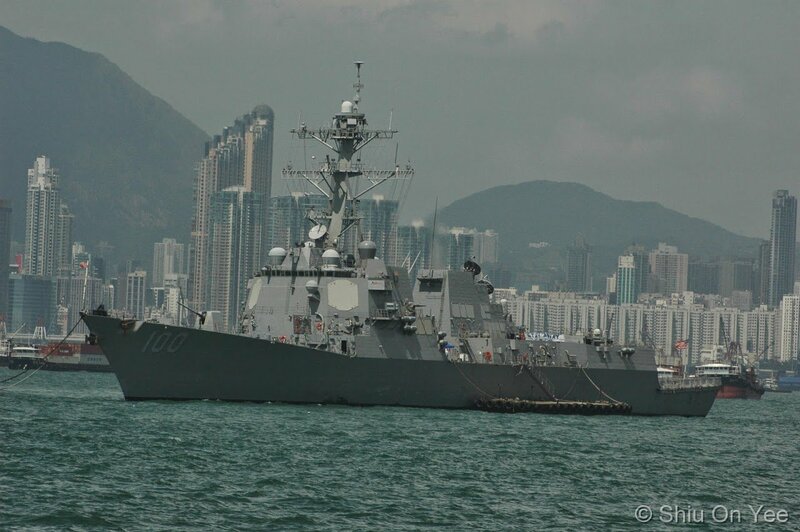 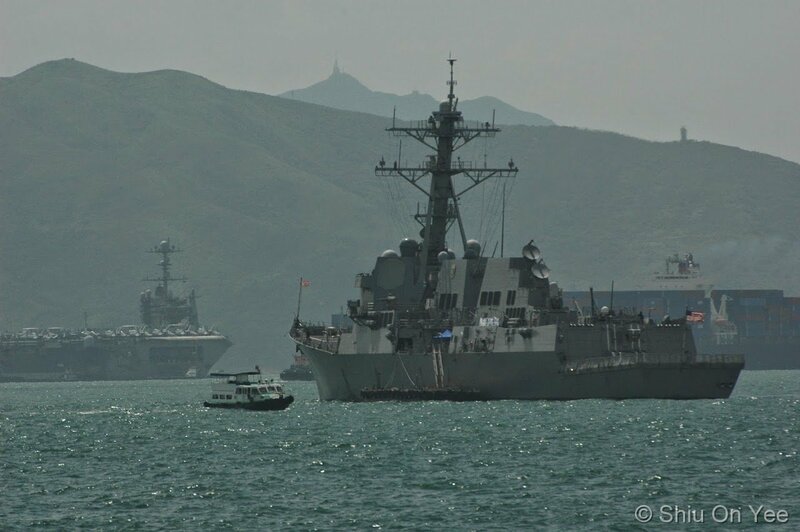 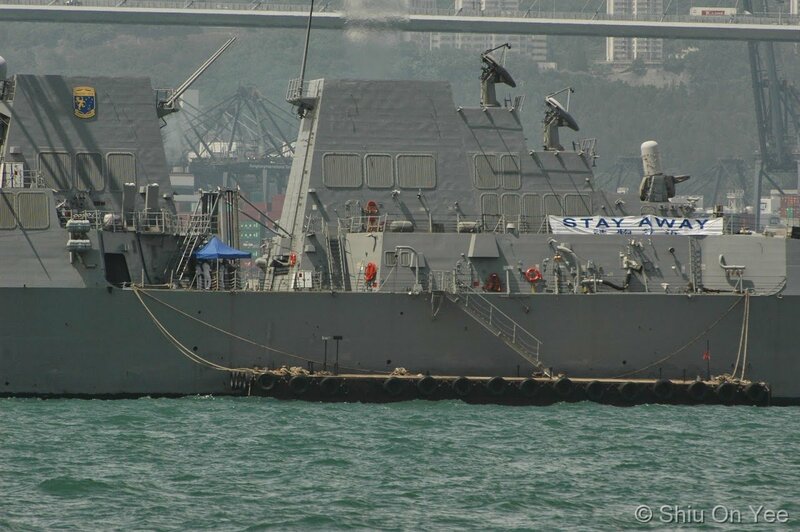 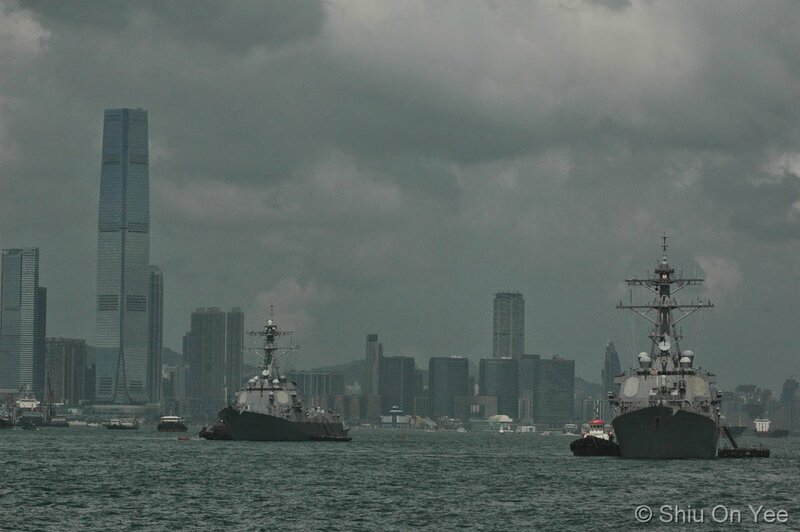 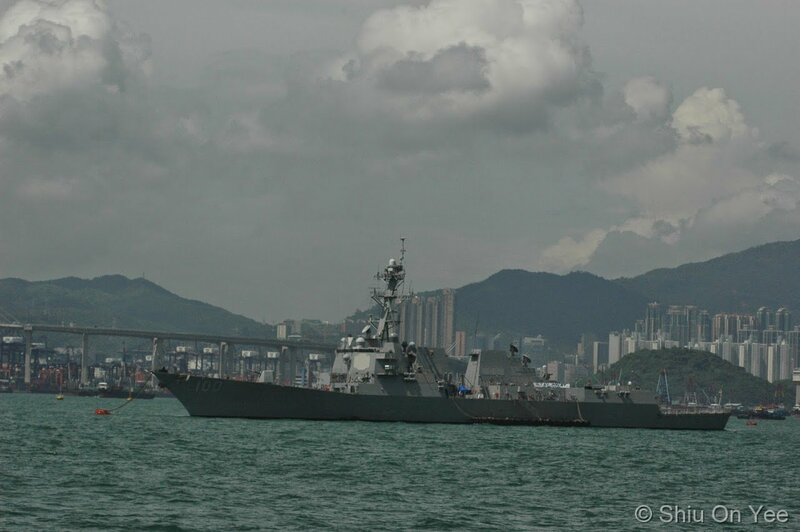 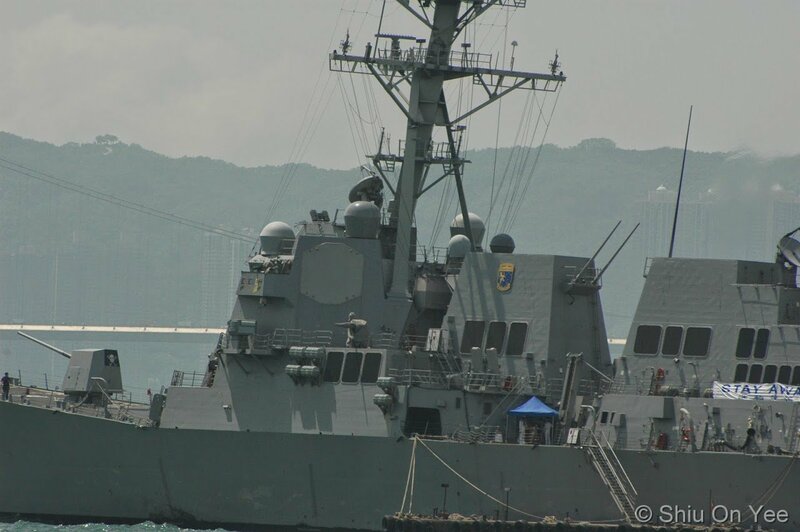 The photos below were taken by Shiu On Yee during USS KIDD's port visit to Hong Kong June 16 - 20, 2014, while the ship was assigned to the USS GEORGE WASHINGTON (CVN 73) Strike Group. 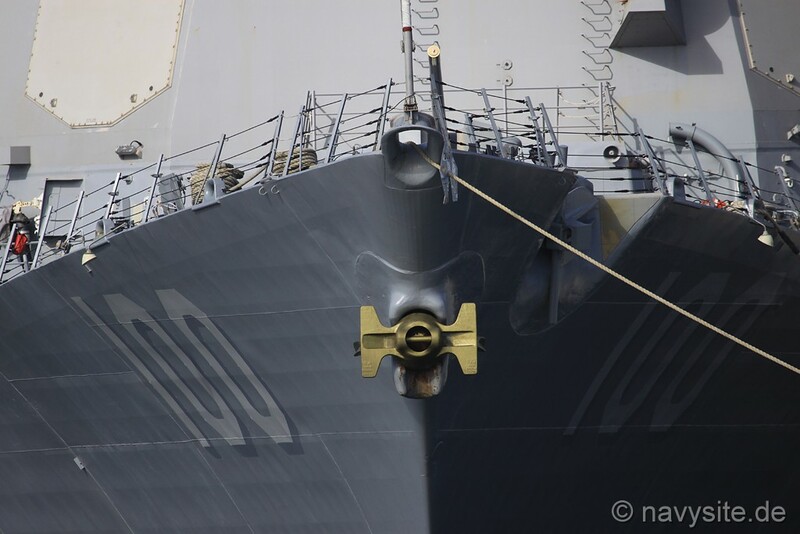 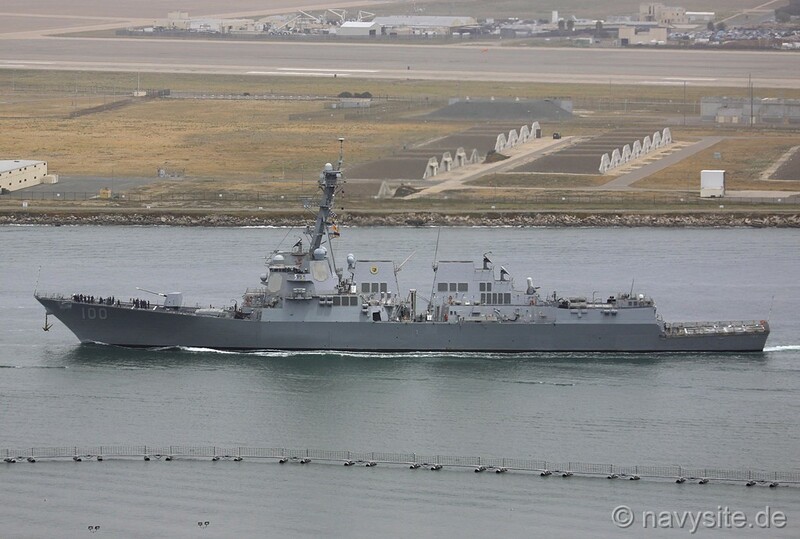 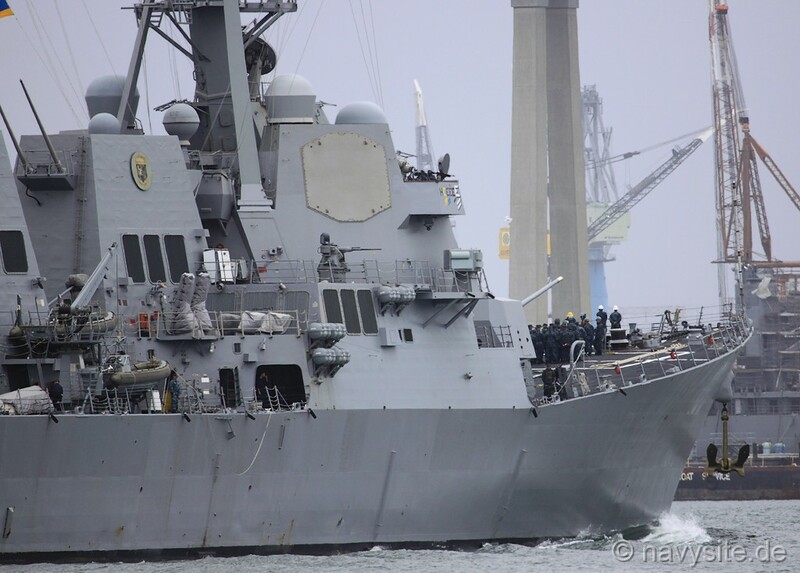 The photos below were taken by Michael Jenning on October 11, 2014, during an open house aboard USS KIDD (DDG 100) as part of Fleet Week San Francisco. 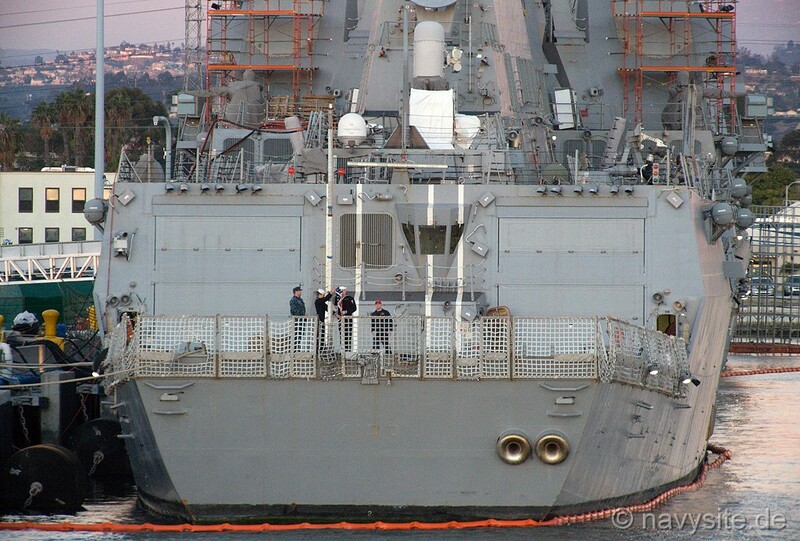 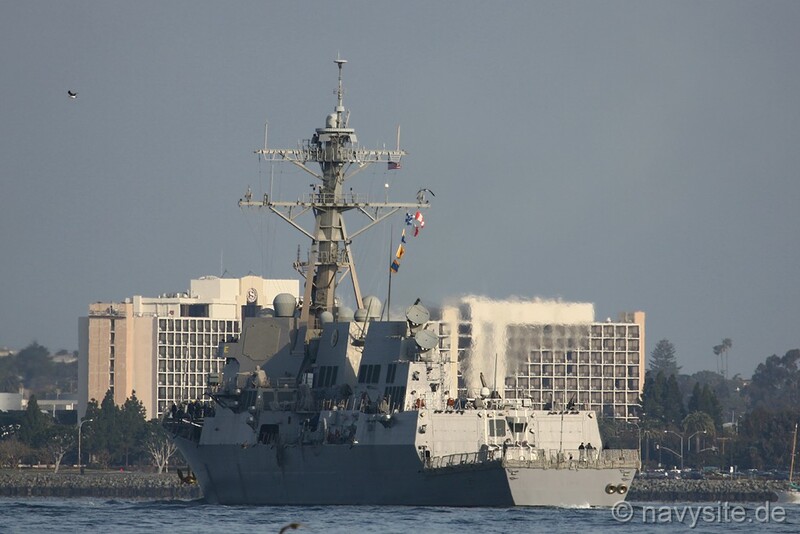 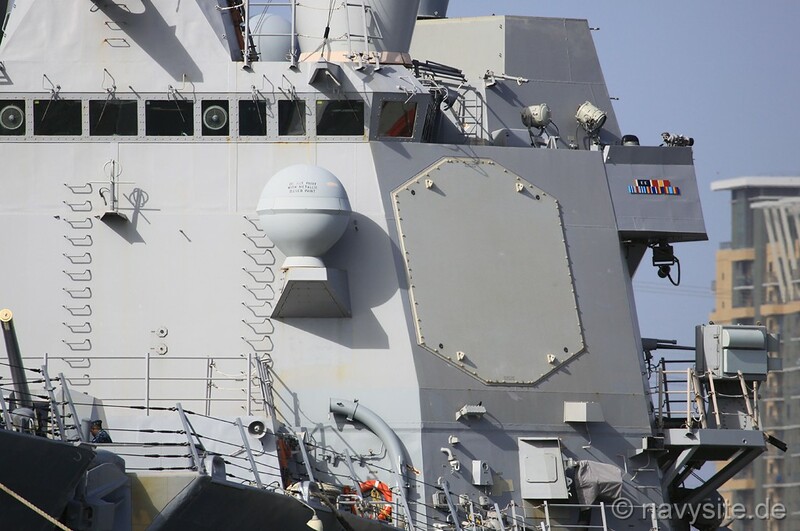 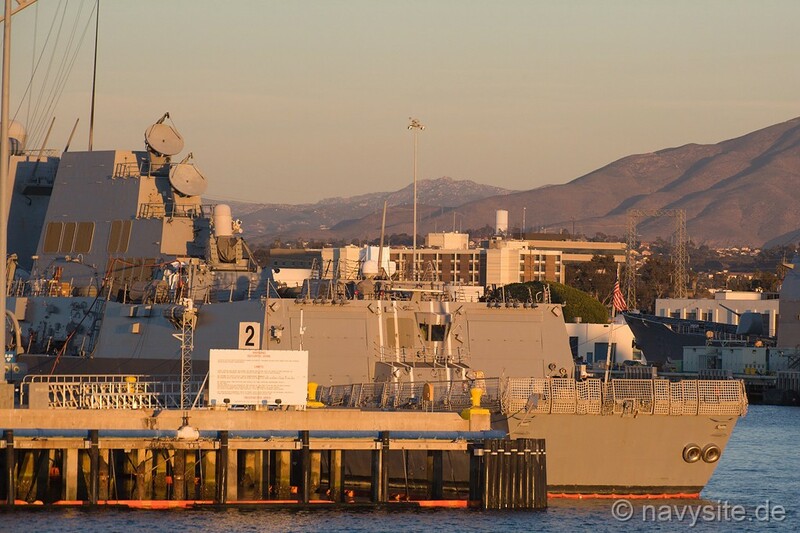 The photos below were taken by Michael Jenning and show the USS KIDD at Naval Base San Diego, Calif., on December 27, 2014. 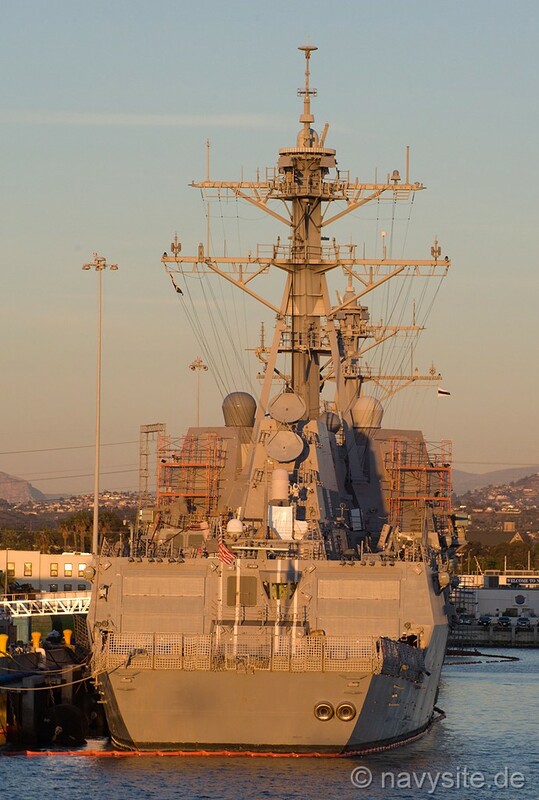 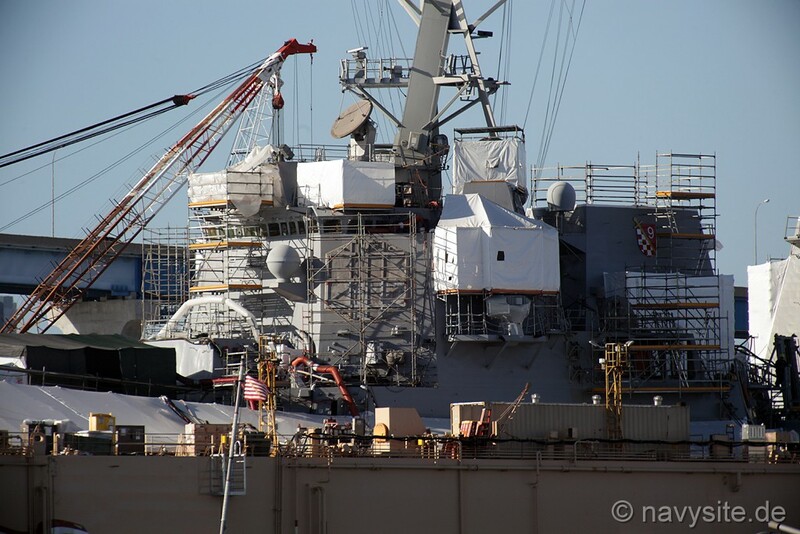 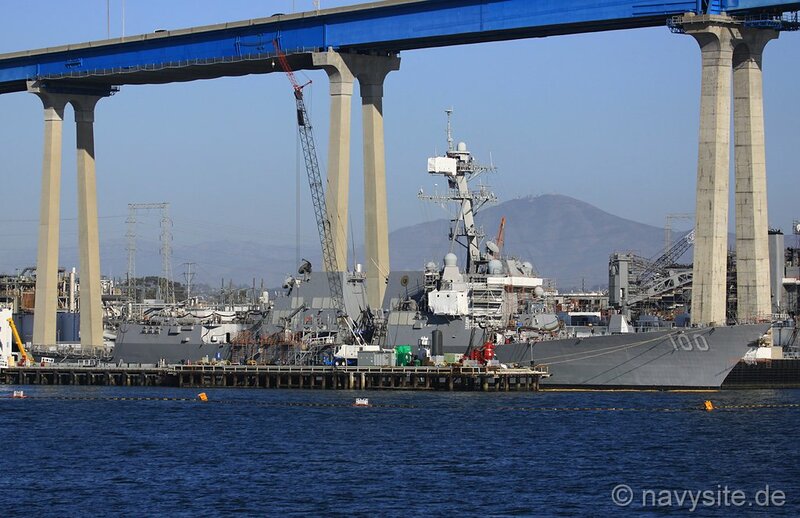 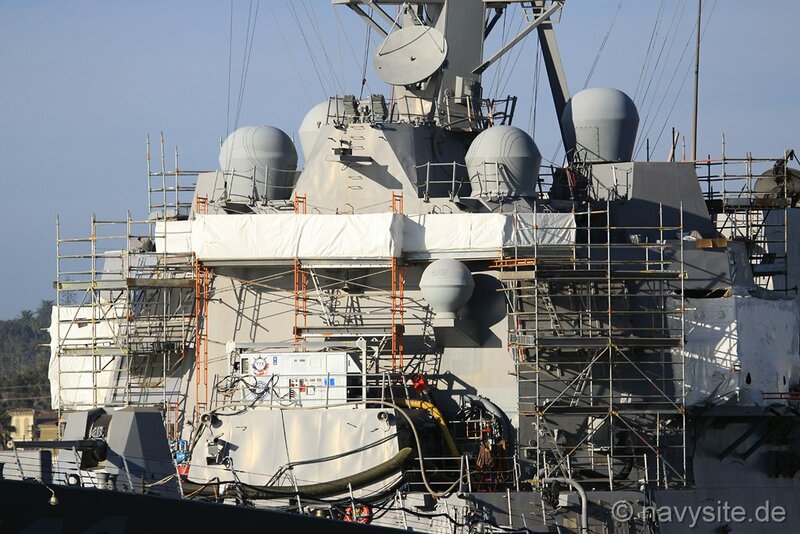 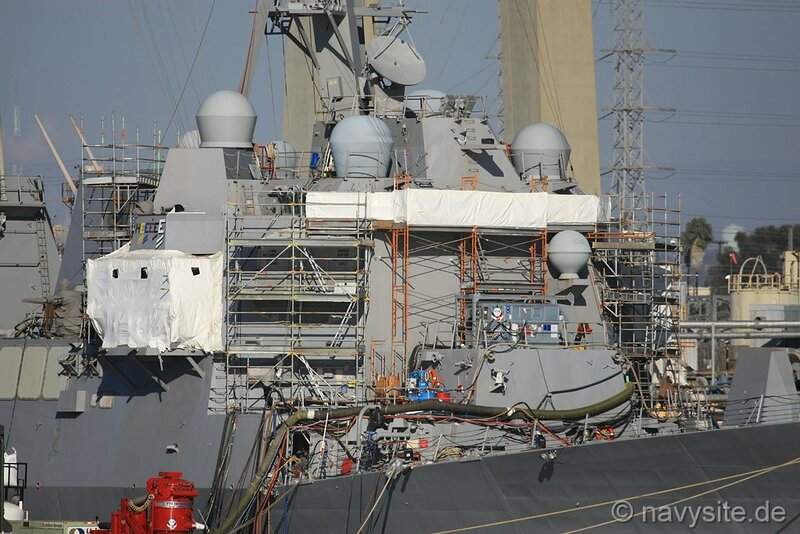 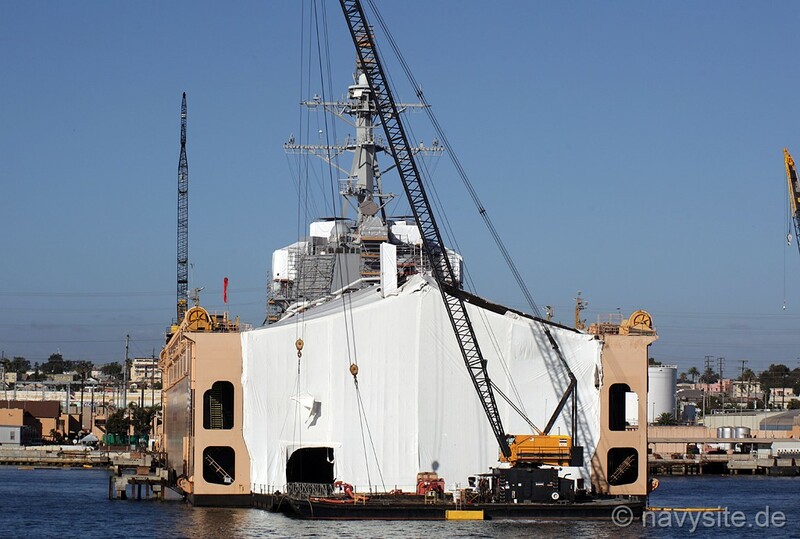 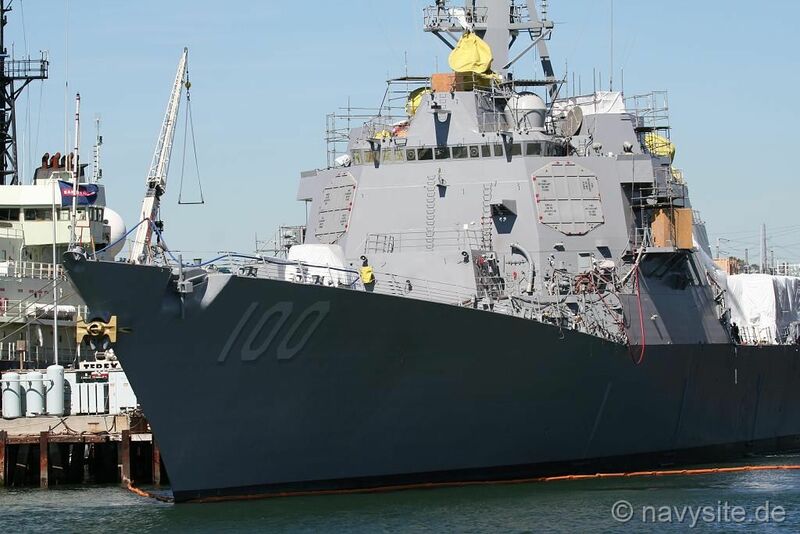 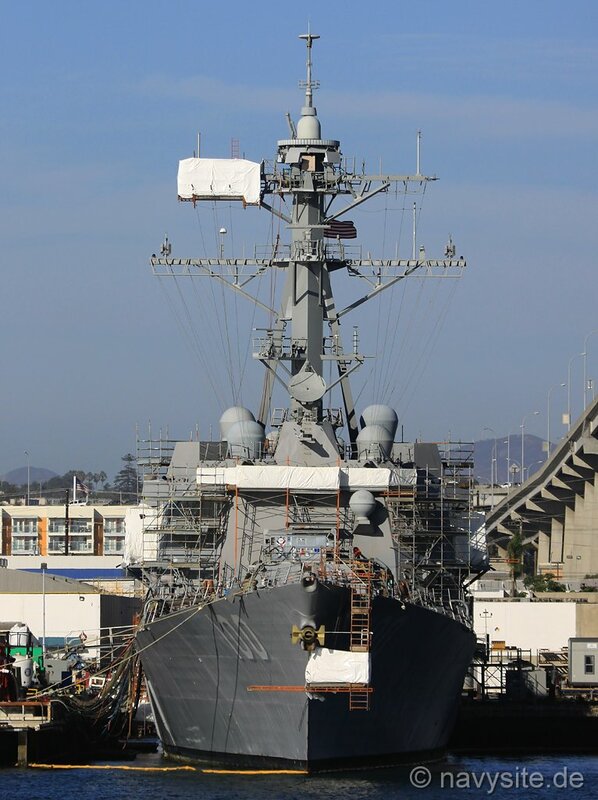 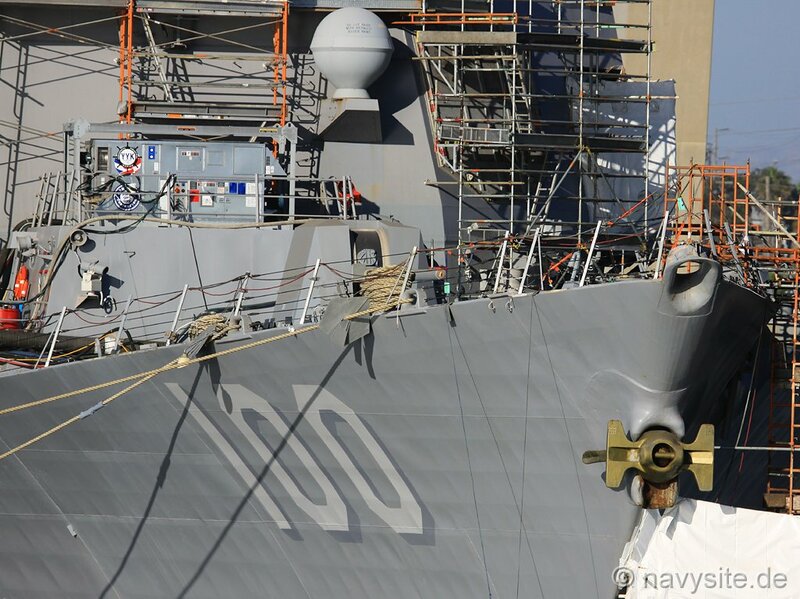 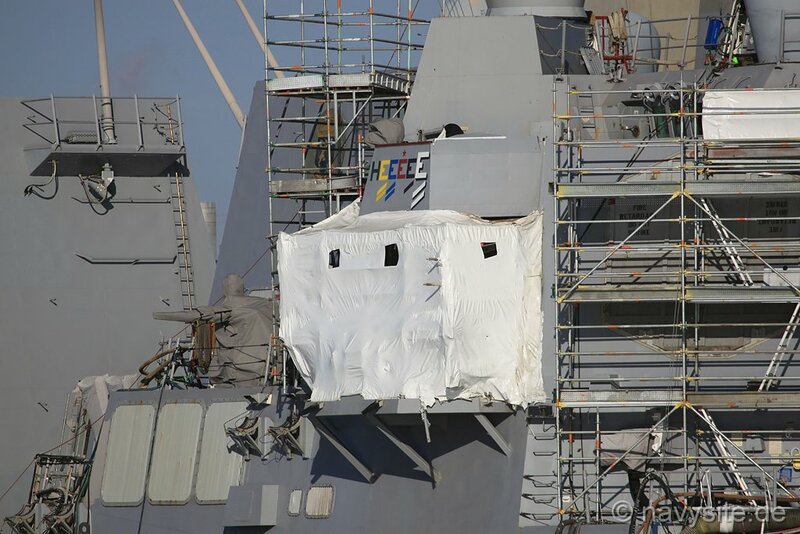 The photos below were taken by Michael Jenning and show the USS KIDD undergoing her Drydocking Selected Restricted Availability (DSRA) at BAE Systems San Diego Ship Repair, San Diego, Calif., on October 2, 2015. 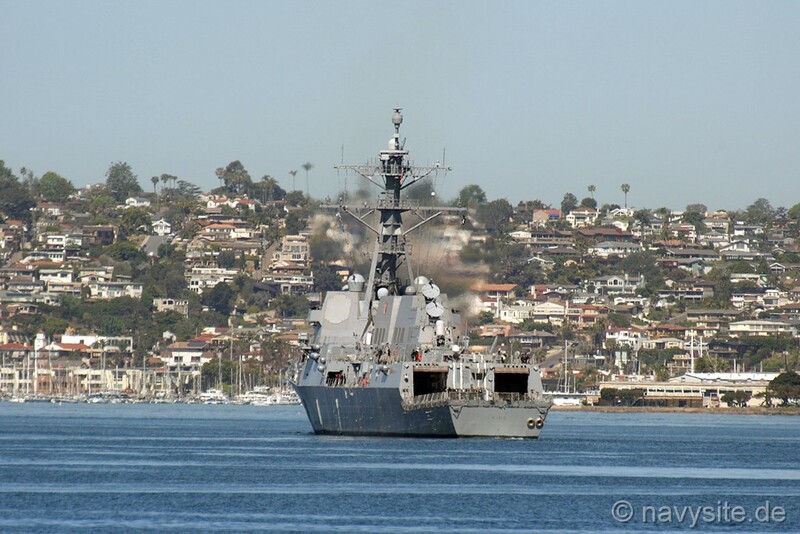 The photos below were taken by Michael Jenning and show the USS KIDD departing Naval Base San Diego, Calif., on April 18, 2016.